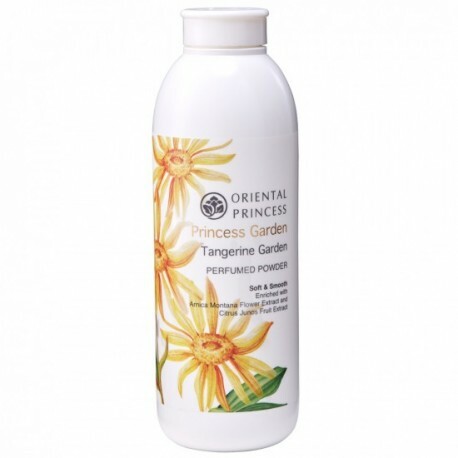 This refreshingly scented talcum powder provides a sensual fragrance that lingers on your body all day long when used in complement with other products from the Princess Garden Tangerine Garden series. With vitamin-enriched nourishment from Amica Montana Flower Extract and Citrus Junos Fruit Extract, the perfumed talc improves the skin surface for a brighter and smoother looking appearance while protecting against dampness and irritation. 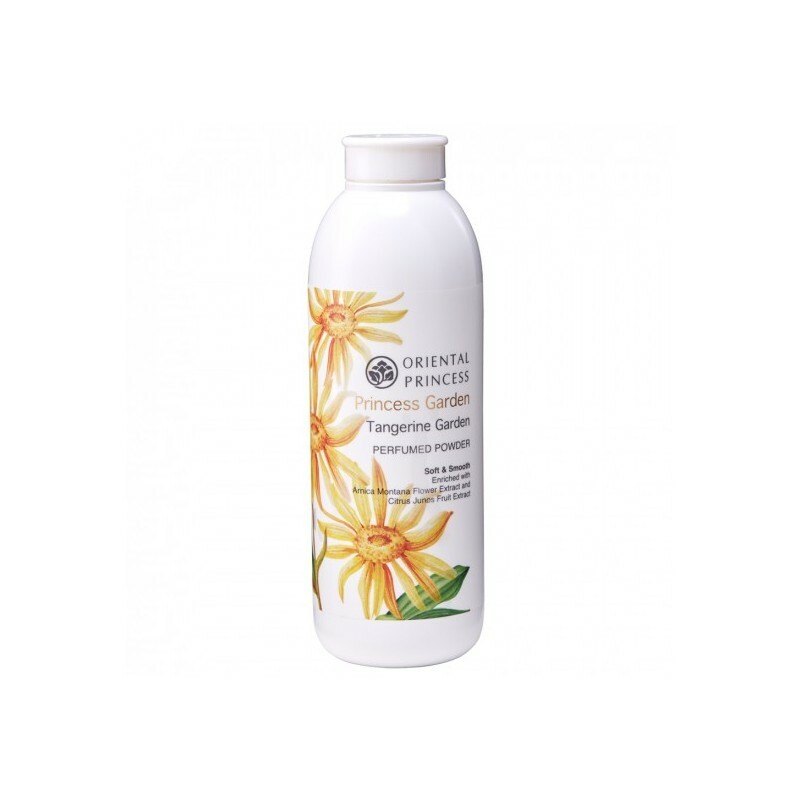 Lightly dust the perfumed talc on your body after a bath or a shower.